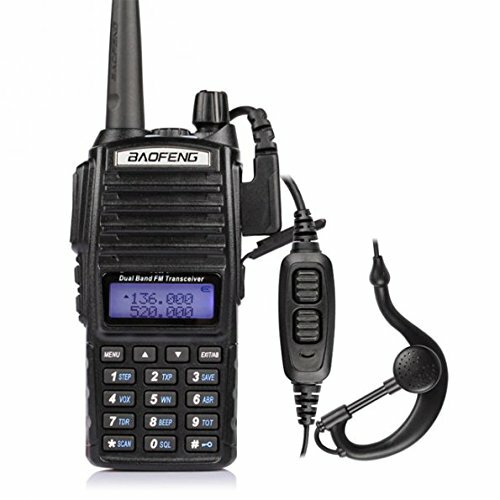 The Baofeng UV-82 is a dual band 144/440 1W or 5W radio. It is typically available for less than $30 from many retailers. It makes a nice Allstar node radio which is a little easier to modify and better quality than the Baofeng 888 and it gives you the ability to use either the 2 meter or 3/4 meter bands. and the wires after connection. 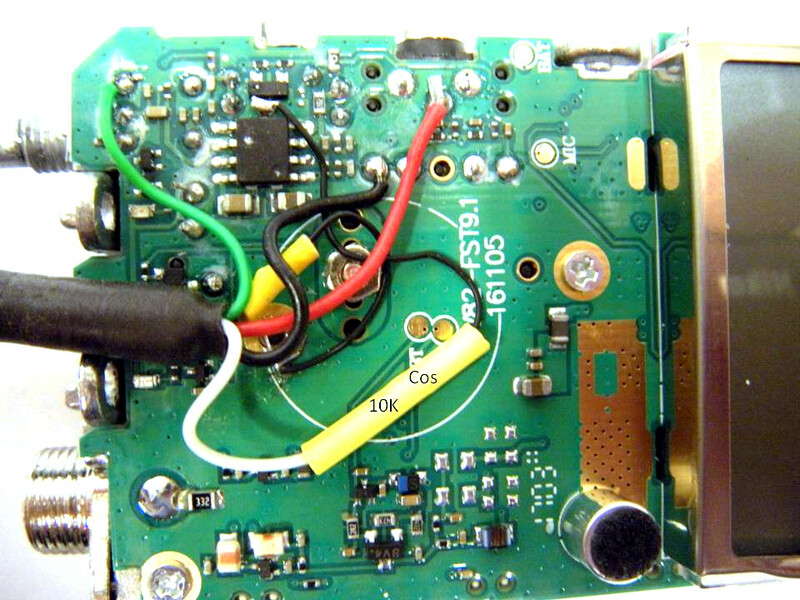 Note the COS line is fed through a 10K resistor located in the yellow heatshrink. This can be a 1/4 or preferably a 1/8W resistor. Wire colors are not important as long as you standardize at both ends. Shown here the Red is PTT, Green is RX audio, Black is TX audio, White is COS with small black on the other side of the resistor to the board, and the small black is ground. 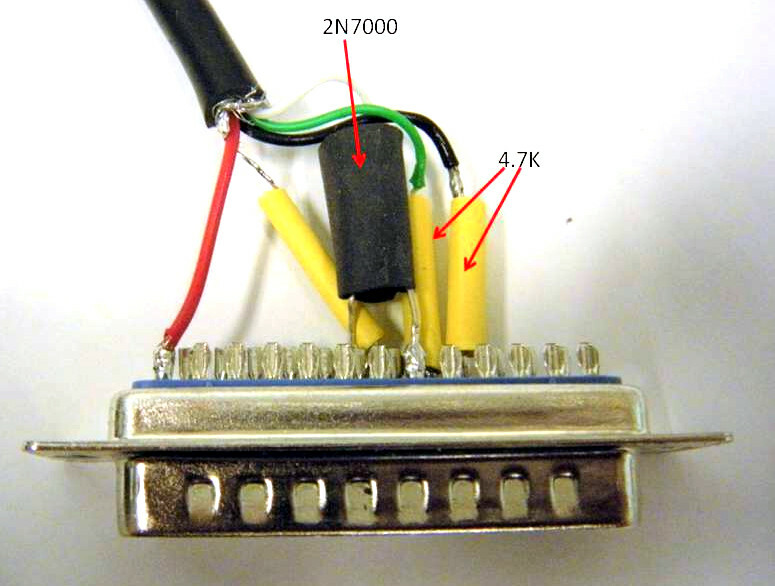 Here is the pinout diagram of the DB25 connector. The source pin of the 2N7000 goes to ground, the drain goes to the COS pin 8, and the gate goes back to the radio to the 10K resistor. 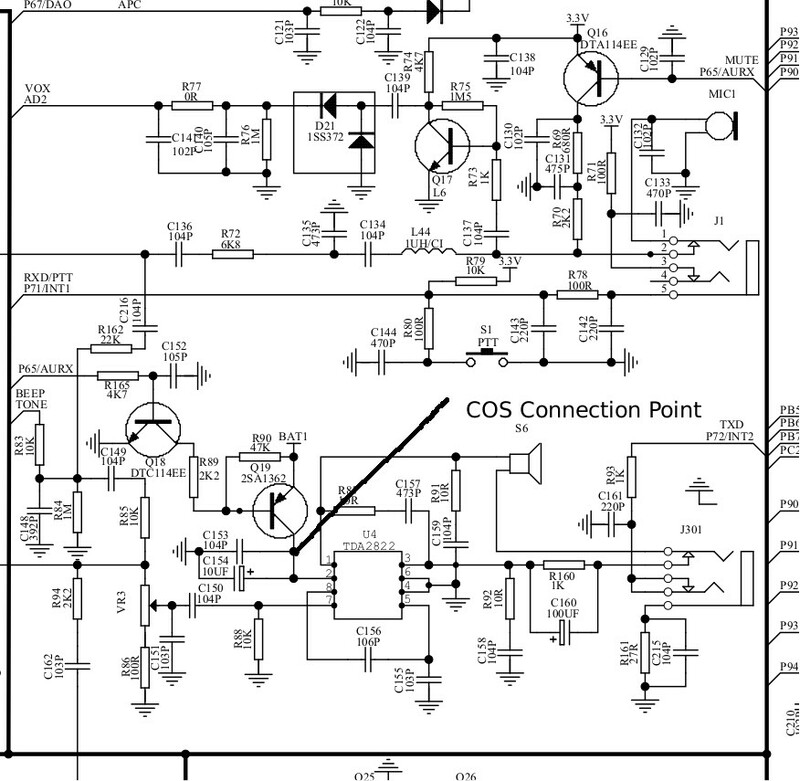 For those wishing to see where the COS connection is in the radio here is a portion of the schematic that shows the connection. It is connected at the collector of Q19. This results in a low going level on RX at the drain output of the 2N7000 FET. This is desireable as this allows the use of cosfrom=usbinvert (carrierfrom=usbinvert) in simpleusb.conf. and here is a photo of the completed assembled radio ready to play. 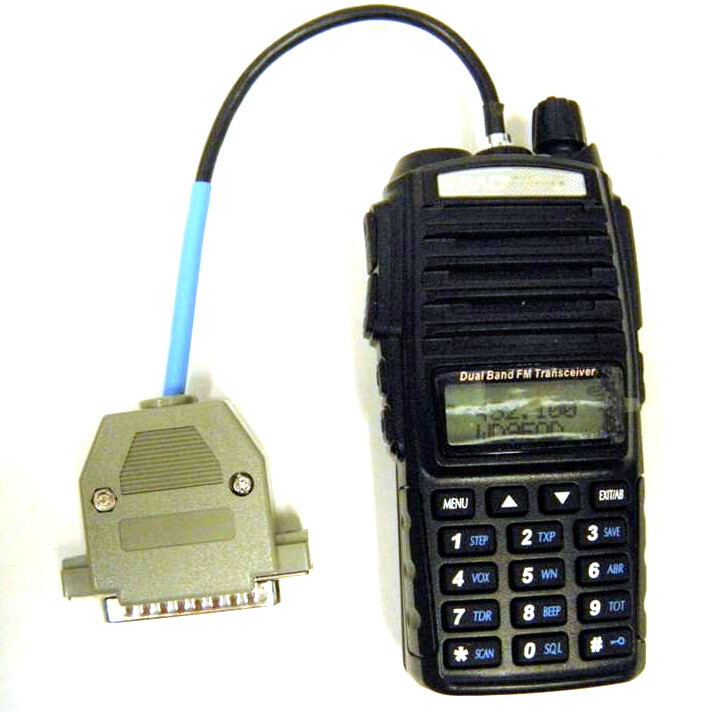 It is highly recommended and often necessary that an external antenna (removed from the radio) be used to keep RF away from the radio. The UV-82 being a handheld is normally powered by a battery but as a node radio you would need a steady fixed source of power. The 12V battery eliminator adapter for the UV-82 is one way to do this but the commercial adapters are not well designed electrically. They use an inefficient three terminal regulator and an inadequate heatsink. This quickly heats up and would destroy itself in short order. The answer is to open the car adapter, remove the original regulator, and install an efficient replacement regulator. Here is what the adapter looks like before removing the original parts. The replacement regulator board is available from Ebay and is very inexpensive. It has a pot to adjust the output to the 7.5 volts required for the UV-82. Here are photos showing the module installed in the car adapter. Input voltage is about 9-24V but typically this would be run at 12-14 volts from a DC supply source. A 12V "wall wart" rated at least 2 amps would work and for portale use a larger 12V battery or car electrical system would work fine. Cut off the pen but leave the string to pull it out when needed. CAUTION! Do NOT run this radio on high power on a busy Allstar channel. It will most definitely overheat. 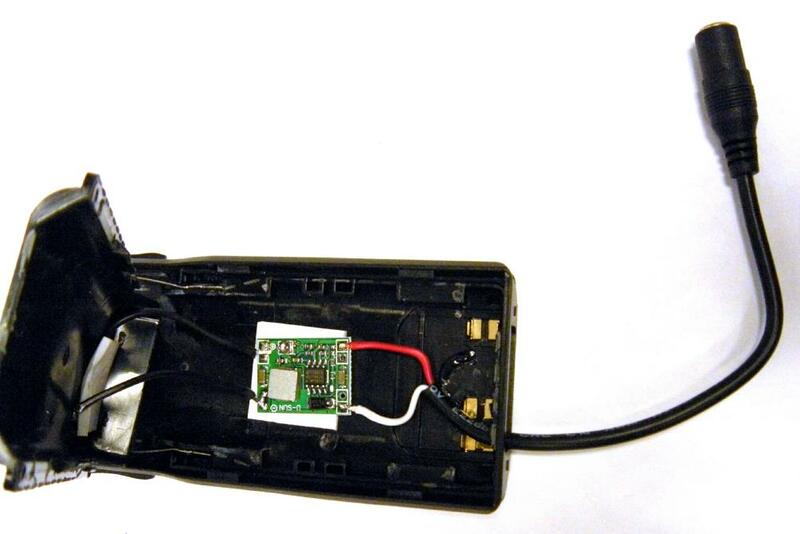 Handhelds are not designed for continuous TX operation at high power. It should run fine on low power. Probably the easiest place to buy is Amazon but there are other sources. Goggle "buy uv82"
There is a now discontinued UV-82x that is dual band 144/222. If you happen to have one or you acquire one it could be modified in the same way as this radio. 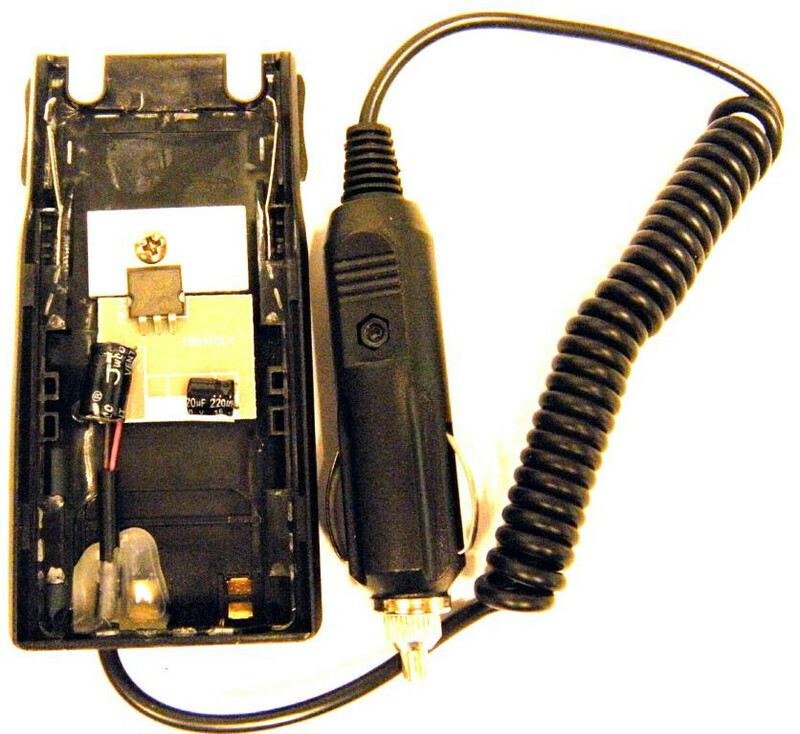 The Baofeng UV5 series of radios although physically different uses the same electrical connections. 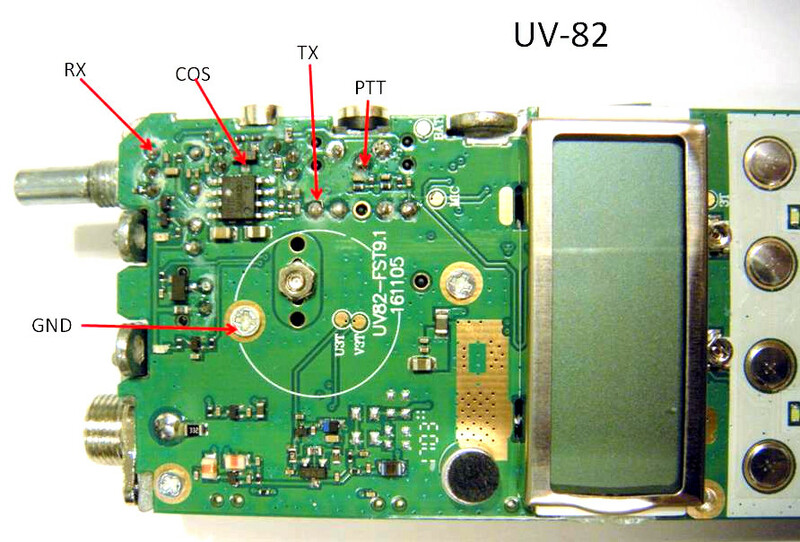 We are planning to mod a tri-band UV5 and when we do we will do a howto on it. 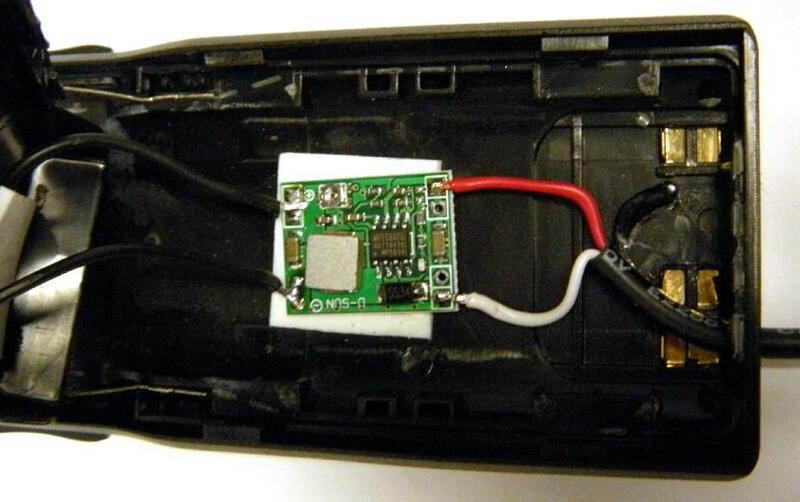 The radio shown was modified by WB3DZZ who sells modified radios, FOBS, and other accessories. He can be reached at his QRZ email address.